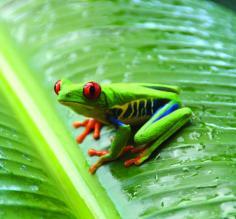 A tour or cruise of the Amazon Rainforest is a sublime journey into the heart of most biodiverse place on the planet. 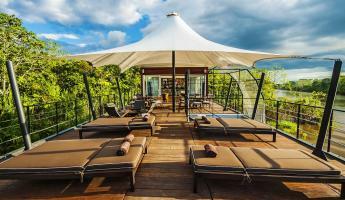 Amazon lodges, such as La Selva Lodge in Ecuador, provide luxurious adventure & serenity. Amazon River cruises, such as the luxurious Aria river cruise boat in Peru let you explore remote shores by skiff, go piranha fishing, Enjoy hikes in search of Amazonian wildlife & medicinal plants, visit a shaman, canoe or kayak over black-water lakes spotting birds and monkeys, and afterwards relax in a bar and lounge with phenomenal views. Watch pink dolphins play, and hike into the rainforest observing megadiverse flora and fauna. Adventure Life's Amazon tours & cruises can be tailor-made to your precise interests, schedule & budget. Contact one of our Amazon Experts to start planning your trip to the Amazon. Explore the Amazon Rainforest on this 5-day tour. Hike on the floodplain trails, search for frogs at night, and look for the gleaming eyes of the caiman during your stay at the Tambopata Research Center. 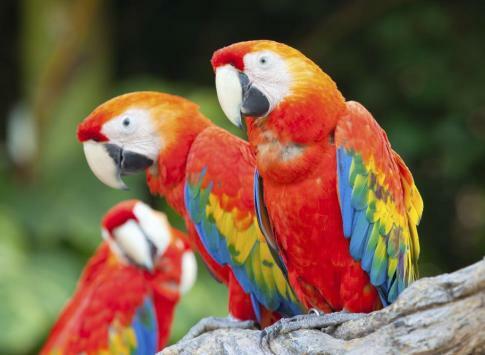 Discover three natural wonders of the world in one amazing trip: the Galapagos Islands, the Amazon Rainforest and the Andes Mountains of Ecuador. Starting in Quito we fly to Sacha Lodge, deep in the Amazon followed by the indigenous markets of Otavalo staying at historic Hacienda Pinsaqui and culminating the Wildlife Odyssey on an 8-day Galapagos cruise. Experience Manu National Park, the most biologically diverse place on the planet, like virtually no one else can: camp inside the park at the Manu Wildlife Tent Camp. Delight in the sights and sounds of this 1.8 million-hectacre jungle paradise. 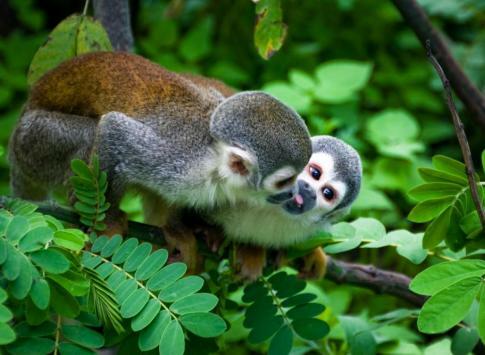 Explore Peru's vast jungle with a 3-night stay at Ceiba Tops Lodge. Make your way to Iquitos, the headwaters of the Amazon and travel down the river to your jungle home. 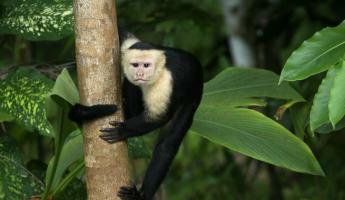 Visit an indigenous community and view wildlife from the canopy during your stay. A combination Amazon trip with two nights at the Casa del Suizo and three nights in Sacha Lodge, Ecuador's premier rainforest lodge. 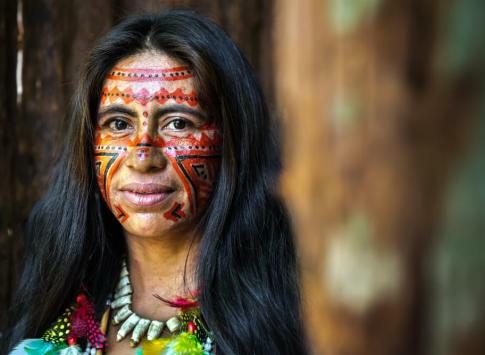 Explore the Amazon with professional naturalists and indigenous guides without leaving behind your creature comforts - unforgettable Amazon travel! 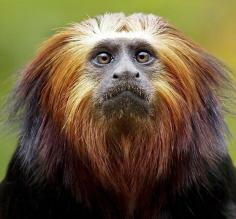 The pristine Manu Biosphere Reserve is one of the largest protected areas in South America. This trip takes you into the remote Manu Wildlife Center, where the amazing biodiversity delights birders, botanists, and curious travelers alike. Two days in colonial Cusco infuse your trip with Andean culture and make this a complete Peru adventure! What's the Best Country to Explore the Amazon From? Being the largest rainforest in the world, the Amazon Basin occupies about 40% of South America's land mass and lies within the borders of the countries of Brazil, Peru, Ecuador, Bolivia, Colombia, Venezuela, and Guyana. 1) Ecuador has easy access to the Amazon (just half an hour flight from the capital of Quito), and world class eco-lodges such as Sacha Lodge and La Selva Lodge which provide the most convenient, comfortable way to discover remote Amazonian wildlife and indigenous peoples. 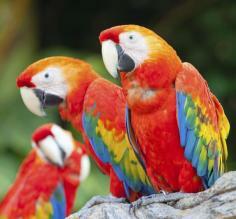 Combine a tour of the Amazon with the Galapagos Islands for the ulitmate wildlife viewing vacation. 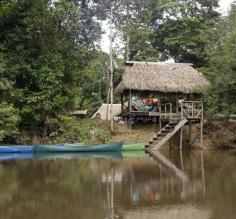 2) Peru also has excellent rainforest lodges and cruises that navigate major tributaries of the Amazon. 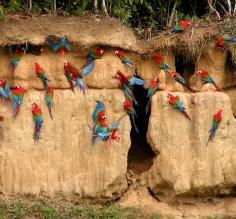 If you're visitng Machu Picchu, then the Puerto Maldonado and Manu National Park region is a quick flight away. The Iquitos region is more remote and only accessible by flights, but has some excellent river cruises. 3) Brazil is home to the majority of the massive Amazon basin, and hence long distances are required to reach logdges or cruise boats. The landscape tends to be flatter and wetter, and the ecosystems are different here than higher up in Andes in Ecuador and Peru. But, Brazil is the only country where you can cruise the Amazon River itself instead of just one of its tributaries. Amazon cruises in Peru depart from Iquitos, the main jungle port city of Peru and a cultural hub in its own right. As you walk through the town, you will see the peculiar fusion of indigenous and European influences in the buildings, a result of the rubber boom of the late 19th century. It is now recognized primarily as a center of tourism and for its stunning & colorful Belen Market, which makes for the perfect place to find an authentic & hand-crafted souvenir. Iquitos also holds another title: the biggest city in the world (population 500,000+) that cannot be accessed by road. So how do you get there? Arriving to Iquitos by plane: This is by far the most popular & fastest (and the most comfortable) way to arrive to Iquitos. If you are planning to fly directly into Iquitos from an international destination, you will transfer in Panama or Colombia and then fly into the Coronel FAP Francisco Secada Airport (IQT); if you are traveling from another part of Peru, there are daily flights from Lima, Tarapoto, and Pucallpa on LAN, Copa, and Star Peru Airlines. Arriving to Iquitos by boat: While this option can take several days from Pucallpa or other neighboring Amazon towns, it does provide an unparalleled opportunity to see the Amazon from either a motor canoe or a cargo/ transport vessel.